On her account, no less! 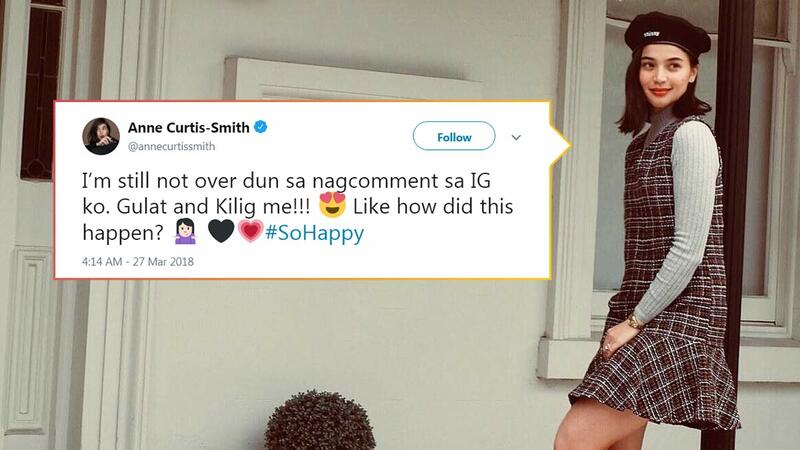 K-pop fangirl Anne Curtis couldn't hide her kilig after receiving an Instagram comment from one of the verified accounts of K-pop girl group BLACKPINK. Anne posted a photo of her vacation in Melbourne, Australia and captioned, "First day well spent in Melbourne." The comment section was filled with fan love, but one comment, in particular, shook the Kapamilya star. Insta account, @blackpink.house left an emoji of a queen's crown on Anne's post, which didn't go unnoticed by K-pop fans, and especially by Anne. The account, BLACKPINK House, is the verified account of the reality show of BLACKPINK, a four-member all-girl group handled by talent management powerhouse YG Entertainment in South Korea. The account has amassed over half a million followers and fans worldwide. While it is unverified, several fans believe that the comment might have been written by Rosé, one of the members of the girl group who was also raised in Australia. In a Tweet, the 33-year-old celebrity released her fangirl kilig and wrote, "I'm still not over d'un sa nag-comment sa IG ko. Gulat and kilig me!!! Like how did this happen? #SoHappy"